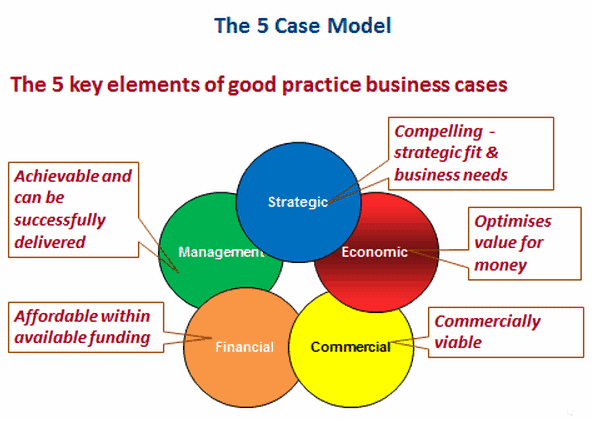 CUPE’s Better Business Cases courses are based on the ‘FiveCase Model’ – the UK government’s best practice approach to developing spending proposals and enabling effective business decisions. At CUPE International, we place a strong emphasis on the quality of our course materials and trainers. All our trainers are highly experienced both in Project Management and Training. This ensures that all our courses are taught in an engaging manner backed up by real-life experiences and examples. Our high standards are also reflected in CUPE’s choice of training venues ensuring that the training environments are conducive to success. CUPE’s in-house option is the best way to train groups of staff on your premises. The course can be scheduled to fit in with your company’s calendar and for groups of 4 or more, this works out more cost-effective than having them attend a public course. The course can be tailored to suit your needs by building the course around your business and business processes thereby making the course more relevant to your circumstances.